Or scroll down to view all fixtures! The Exo Terra Compact Top Canopy is a compact fluorescent terrarium canopy designed for use with the Exo Terra Glass Terrarium. This easy-to-install canopy accommodates compact fluorescent bulbs, LEDs, and even low wattage incandescent bulbs. The optional Exo Terra Digital Thermometer & Hygrometer can be slid into the special sliding rim on the top of the canopy, for a great finished look. Hoods 12" smaller have 1 on/off light switch, and larger hoods have 2. 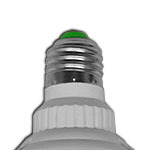 Max CFL bulb wattage: 26W. Max incandescent bulb wattage: 25W. Looking for our best deal? 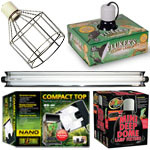 Exo Terra Compact Tops are available in most of our Vivarium Lighting Kits for enclosures under 25in tall. When purchased in a kit, you'll save around 5% on these fixtures and the ideal vivarium lighting (LED or Fluorescent) to go with it! 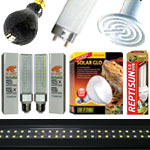 Only $18.99, in our viv lighting kits! Dimensions: 8" X 3.5" X 5.9"
Only $19.94, in our viv lighting kits! Dimensions: 11.8" X 3.5" X 5.9"
Only $23.74, in our viv lighting kits! Dimensions: 17.7" X 3.5" 7.8"
Only $28.49, in our viv lighting kits! 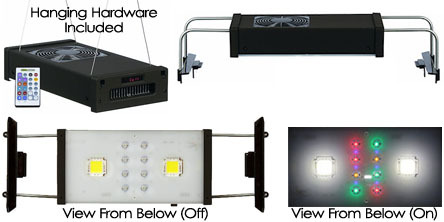 Dimensions: 23.6" X 3.5" X 7.8"
Only $56.04, in our viv lighting kits! Dimensions: 36" X 3.5" X 7.8"
The Exo Terra Wire Light has a heat resistant porcelain socket designed to withstand bulbs producing very high temperatures. Ideal for use with Ceramic Heater, self-ballasted mercury vapor bulbs, and all types of regular incandescent bulbs. 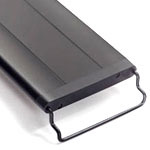 The wire guard prevents unnecessary heat build-up. The Exo Terra Wire Light is the only lamp that meets all safety regulations when used in conjunction with the some ceramic heaters. This large version supports up to 250W. Great for desert setups! Clamp lamps are probably the most versatile & common light fixture in the herp hobby, and we've selected Fluker's brand for a few reasons. The black coating on the outside can take some abuse, the reflective inside looks great, and they are far more rigid than the economy models of different brands. These are also the best-priced ceramic base clamp lamps of any trusted brand name in our hobby. We carry both the dimmable & standard (on/off switch) models. If you are looking for an inexpensive way to dial up & down the heat manually, the dimmable fixtures are a great choice. The standard on/off models are the best choice for those who don't require manual control, or will be using a thermostat. Includes 6' cord with polarized plug. Wattage ratings listed below Add To Cart button. These cool running Jump Start T5HO fixtures offer 20% more light intensity than other comparable fluorescent lights. Each kit contains a 6400K matching bulb, grounded power cord (with on/off switch), hanger clips for easy mounting, and instructions for set up. Polished reflector (shown) included. Fixtures can be linked in tandem via the optional link cable (up to 5qty 48in, or 10qty 24in fixtures) quickly & easily. Jumpstart dock systems available for those looking to create their own 2-4 strip fixtures, and it's easy to add/remove fixtures to/from the dock to fit your needs. These custom mounting kits are an easy way to add an LED bulb to a custom fixture, rack-style enclosure stand, and more! Includes a bulb holder with on/off switch, 6 foot cord, black zip-ties, and 2 stainless steel screws. When using the custom mount kit, ensure the LED bulb is kept away from all moisture & possible misting over-spray for safety, and leave room for adequate ventilation. 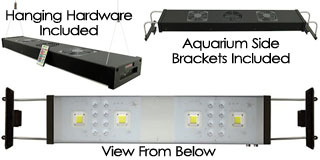 LEDs sold separately For linear-mount Jungle Dawn LED bulbs only. (Incompatible with all fluorescent & incandescent bulbs we carry!) These are awesome for 15W, 17W, 20W, and 22W "XL" Jungle Dawn LEDs, since the bulb can be supported across a longer area using the metal clips. Adjustable clamp holder (not shown) is included! 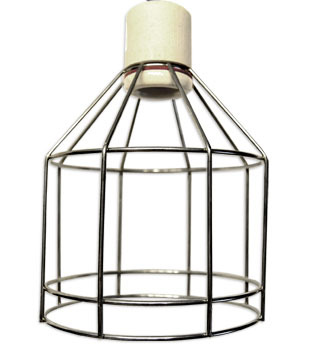 Our wire cage light fixtures feature a porcelain base, heavy duty clamp holder, and a compact ~6in diameter. These are perfect for high heat applications like Mercury Vapor UVB bulbs, high wattage basking & heat lamps, ceramic heat emitters, and more. 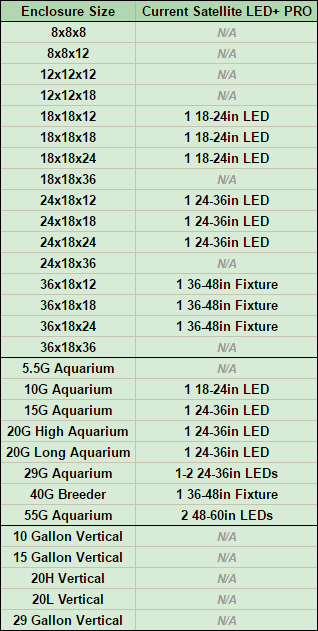 In addition, these are the included ideal fixture in all of our NEHERP Vivarium Lighting Kits which feature our ultra high-output Vivarium LED Spotlights from Jungle Dawn & Value Grow. A switch is included along the black 2-prong 6 foot power cord for convenience. The clamp portion (not shown in photo) is easily detachable if desired. Rated for applications up to 150W. 6in Diameter / 8.5in Height. Zoo Med is the originator & innovator of the Deep Dome Fixture in this hobby. Between the brightly reflective inside, rugged black outside, and long-term proven reliability, we're glad to carry both the Mini & Standard Zoo Med Dome fixtures. These fixtures are great for everything from Mercury Vapor Bulbs, Compact Fluorescent Bulbs, Ceramic Heat Emitters, UVB Bulbs, and of course traditional heat (incandescent) bulbs. There's a separate cord and switch for every socket on each of these models, making them perfect for use with basic timers, thermostats, and more. 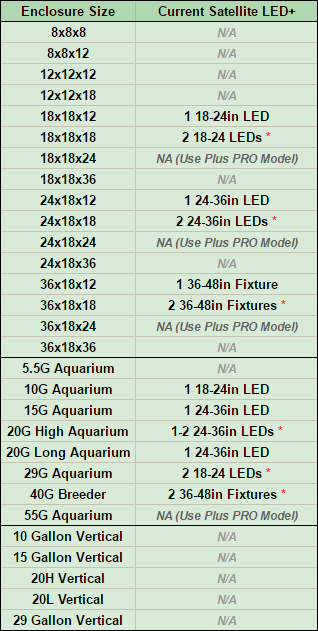 Wattage ratings and dimensions for each model listed below the Add To Cart button. 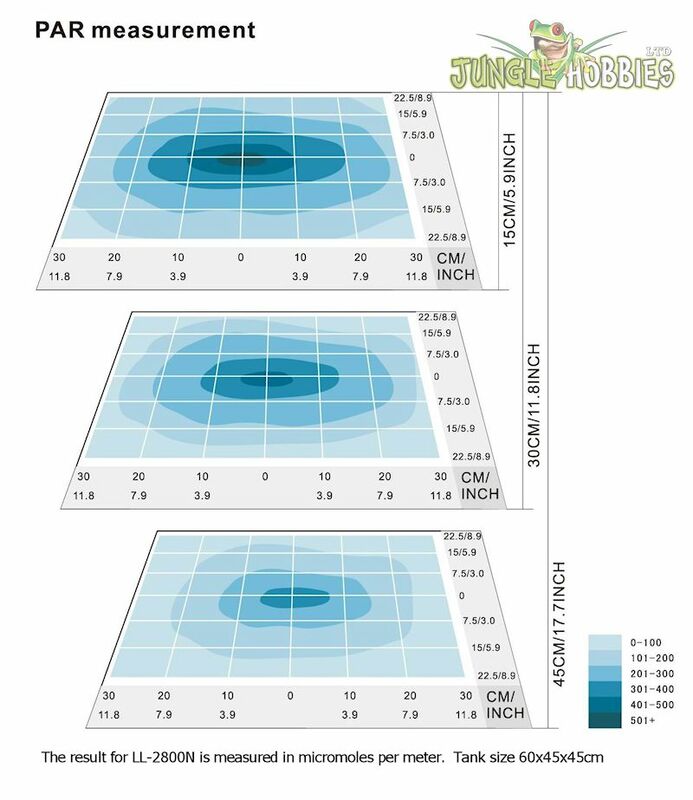 Zoo Med is the originator & innovator of the Deep Dome Fixture in this hobby. Between the brightly reflective inside, rugged black outside, and long-term proven reliability, we're glad to carry the whole line of Zoo Med Dome fixtures. The Mini & Standard Deep Dome Models are great for everything from Mercury Vapor Bulbs, Compact Fluorescent Bulbs, Ceramic Heat Emitters, UVB Bulbs, and of course traditional heat (incandescent) bulbs. The new "Nano" models are a little more limited in scope, being ideal for very small enclosures (or small areas to heat) when used in conjunction with low wattage bulbs. There's a separate cord and switch for every socket on each of these models, making them perfect for use with basic timers, thermostats, and more. Wattage ratings and dimensions for each model listed below the Add To Cart button. 100W Max - Our Best Seller! 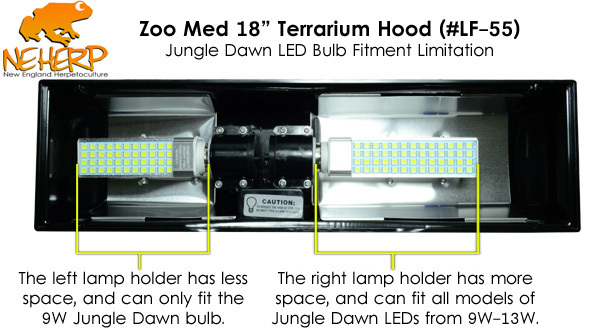 The Zoo Med Naturalistic Terrarium Hood includes a built-in reflector and socket(s) for heat or compact fluorescent bulbs. We carry two sizes for both 12" wide and 18" wide Naturalistic Terrariums! These hoods use standard "screw type" bulbs. 12" hoods have one socket & switch. 18" hoods have two sockets with two on/off switches. The only terrarium hood able to accept up to 60W incandescent bulbs, as well as CFLs up to 26W. 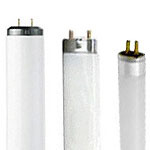 The 12" and 18" models fit all CFLs we carry up to 26W, and all incandescent heat lamps we carry up to 60W. The 12" hood fits all Jungle Dawn LED bulbs from 9W-13W. The 18" model requires one 9W Jungle Dawn on one socket, and either a 9W, 11W, or 13W on the other socket due to the hood's offset-socket setup. Use this Lamp Stand to safely suspend any clamp lamp or dome style fixtures above a growing surface. The Zoo Med Lamp Stand is adjustable in height and length, includes power cord clips, and a large base "foot" for stability. Easily adjusts from 8-15 in (20-38cm) long and 20-38 in (50-97cm) high. Fixture sold separately.